Offering a delicious selection of meals, snacks, specials and refreshments. 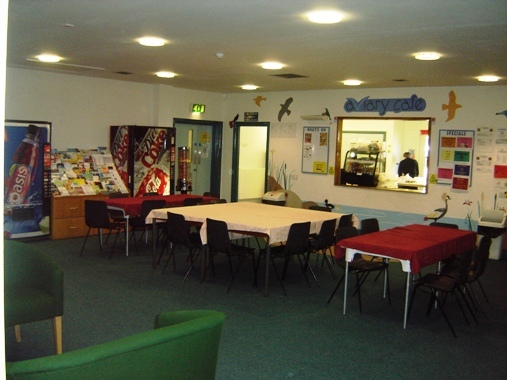 The café is also able to offer set buffets, parties and events catering provided this is booked in advance of your event. In addition, we are able on request to discuss any special requirements you have and are happy to give you a quotation. We try to include in our menus a choice that is suitable for all, including vegetarian and low fat options. Please note that we are able to cater for more specific and specialist diets if requested in advance, and have on hand the advice from a qualified dietician chef, so you can re­lax in the knowledge that what your guests are getting will suit their every need.